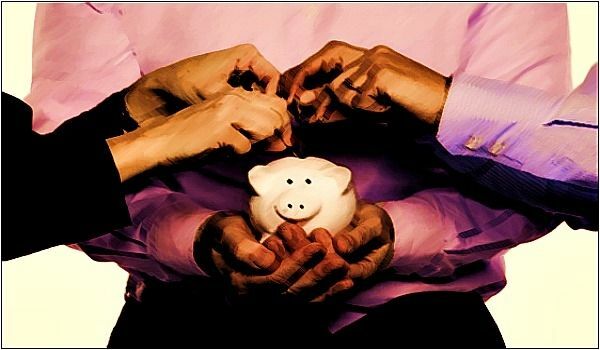 It’s official, crowdfunding is ABSOLUTELY here to stay, and the new way entrepreneurs are looking to raise funds for their dream enterprises, rather than (or in addition to) the traditional friends and family route. 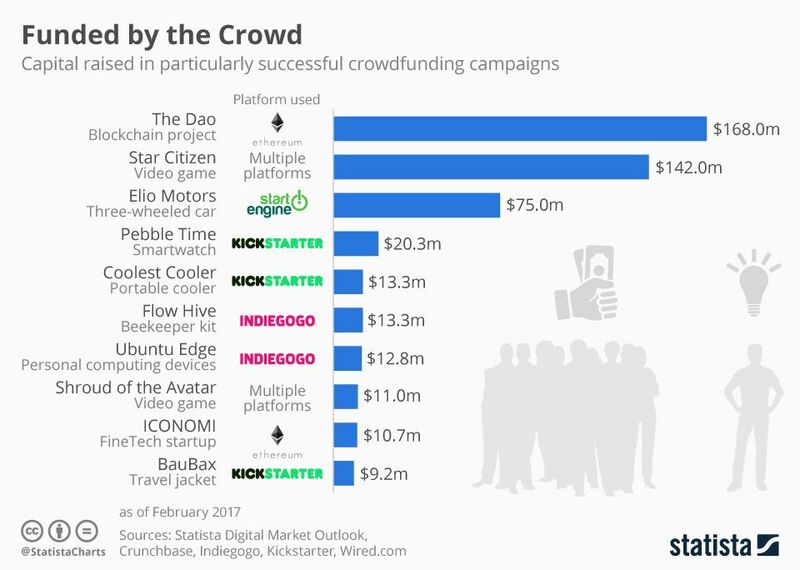 The chart below by data scientist Felix Richter shows the top 10 most successful crowdfunds ever. We were particularly interested to find that the TOP most successful campaign was for The Dao, a “digital decentralized autonomous organization and a form of investor-directed venture capital fund”, according to Wikipedia, that was hacked in June 2016, but managed to raise $168M. 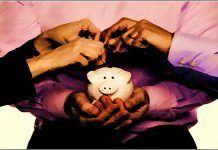 According to the article, however, most crowdfunding campaigns raise a more modest sum – an average of $4860. 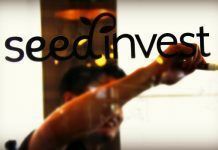 Either way, this powerful new capital raising tool for entrepreneurs is clearly “the people’s VC”, and one that institutional investors and advisors will have to become increasingly more comfortable with. “The dreams of many young entrepreneurs in the making used to end inside a bank, when they were denied the funds needed to start their venture. Luckily, these days, a loan not given doesn’t have to be the end of a potentially great idea. 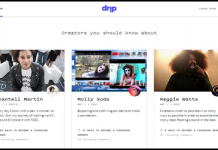 Platforms such as Kickstarter enable creative minds to pitch their idea to thousands or millions of people in the hope of raising the funds needed to realize their vision.